Are you tired of your current career direction? 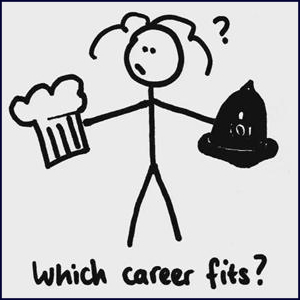 Struggling to create a list of career change ideas? Follow master career coach, Unre Visagie as he teaches a simple process to identify career change ideas that will fit your unique situation. Career change can be a scary thing, but if you approach your career change using a simple, safe and secure system, it all just falls into place. Check out the video below to start generating some ideas for your next career! Careerdevelopmentplan.net offers the foolproof Career Maker program. As part of this we offer a process for career change ideas to stimulate you to organize your career change ideas into segmented elements. It works extremely well when you concentrate on a specific area at a time. The idea is to move from ‘I have a job and earn money’ to where you live in a great space with everything you want and money. Only one part of us consists of work. We are also social, spiritual, and physical; we are also friends and parents. We are many things. Only a small part is work. Let’s keep that in the back of our minds. We would like to show you how these ideas move you from your current situation to the work of your choice, the job of your choice, the company of your choice and the industry of your choice. Many people argue with me that you can’t choose them all at the same time. That’s correct. You start with choosing your work and you have a clear career aim. In order to design your clear career aim it’s a good thing to start with as many change ideas as you can. You first go wider, you explore, and then you use the explored information when you are ready to engage. There are always three steps in each element: you explore, you prepare and you engage. Look at your past experiences, the work you’ve enjoyed doing, what you have enjoyed at school and what you have enjoyed anywhere. Look at your past and look at what may be, what you think will give you joy. I will discuss all of them at the same time but first make notes on explore. Let’s look at specific transferrable skills. People find it hard to look objectively at all their past activities, the projects they were involved with, and the teams they were involved in. The idea is to focus on specific elements related to transferrable skills. The same with aptitudes, you can see from your past involvements where your aptitudes are. You can also get feedback from the people you were involved with. We will give the specific model to ask feedback. There are models; some published, some not yet, on the web to assist you will these tasks. When you look back at your past activities your interests become clear. Many have to look at both their past and their desired future at the same time. Know what you believe and what you value. It’s very important to know that there are no right and wrong beliefs and values, there are just beliefs and values. If you choose an area of work, job, company and industry, that align closer with what you believe and what you value, it becomes a lot easier to thrive in that environment. If your values and beliefs differ a little from your chosen environment it becomes tough. So what do you believe? It’s good to ask why you believe it, but much later in the program we’ll get back to why. Our beliefs and what we value were often not freely chosen, they are a product of past experiences, family, community, work, etc. All of those formed what we believe and what we value and why. We encourage you to go plus plus so you expand. It’s very important to keep your roots and grow your roots and expand from there. Lastly, one of the most valuable things is who we relate to and the relationships we have formed, who and why. These relationships were often formed out of past activities and not freely chosen. You will see that freely chosen is a very important concept that keeps recurring. What’s more, there’s a process to go about choosing freely what suits you, why you relate to people, what you add to them, how you add to them and how you build relationships. It’s a very clear process learnt at Hewlett-Packard way back, applied in all our multi-million dollar companies that we were privileged to build. All of this comes from the people in those companies who managed them to maximum productivity. Thereafter we did a lot of pro bono work at universities, schools and communities, under social ventures. We also did a lot of professional coaching at companies and with people, to grow their careers and grow the people; this is how you grow a company. Relationships are critically important. Very few people realize that the people they relate to relates to many more. And those relate to many more and this never stops, until we are six levels away, fifty to the power six. We assume everyone knows fifty people that we don’t, then fifty to the power six are more of less all of the people on earth. So six levels away you can reach anybody on earth. It is simply a process or a model that explain how to achieve this. Who and why? If you look at it segmented in this way you will arrive at a very long list of where you are and what your assets are. Just like a company has assets, a person has assets. Going forward, you take this initial process and engage with the people around you. This could be at home, with friends, at work, anywhere where you know people. If you check these things with them you will find that your list grows very quickly. You understand your assets much better. We haven’t met anybody who is not pleasantly surprised when we do this segmented process and they check it with the people around them. They also prepare the message and we are very excited about the power of stories. Take this prepared message and engage the people you’ve identified, people who do similar work, people who do similar jobs, people in the companies you have targeted and people in the industry you’ve targeted. All of a sudden these relationships explode and you will get more career ideas. Recently, Ken, somebody we are coaching, couldn’t believe how many people he knows and when he was prepared, when he approached them, he got so many career opportunities, and even job offers that could double his $100 000 plus salary. It is an amazing process; nobody goes through this without getting new job offers, university students as well. We even had younger people that got sponsorships once they’ve done this process. The key thing to remember is to keep your career, your work and your job aligned. If your career area grows, your work area grows, your job area grows, the overlap with the company, the industry and value-add grows. You want to move up the pyramid of production, from where you were a person at entry level, you grow into the teams and you keep on growing. You have to accelerate and arrive at a strategic level. The process applies whether you have an expert career or whether you are on a management path. The expert path is somebody that grows in expertise and is very valuable to everybody in a company; we have a very specific process to manage that path. The management path differs a little in content. If you arrive here and you are clear with your message, it’s like a beacon that shines for you. You have access to a whole bunch of new opportunities and your store is growing in this process. If you look at career change ideas, you can change your career, change the work that you do, change the job that you want or move your job in the company, or to another company. Even consider another industry that might excite you more and grow faster. Each one of the segments generates new ideas, your experiences, your transferrable skills, your aptitudes and your interests. It’s simply a process to generate ideas. I would like to add actual ideas to stimulate your thinking. Remember another person’s ideas can never be yours; it’s only yours that are relevant. I hope it helps you to engage in this process to generate career change ideas, to apply them and to engage to create huge opportunity, grow your relationships and grow your asset store. If you have any difficulties with this please ask us below. If you have comments on this, please engage us. Do people trust you in your workplace? Do you know why they trust you or why they do not trust you? When people trust you, you are smoothly promoted, you get easier salary increases and your team know they can count on you. Use the four elements of trust to communicate effectively in the workplace and grow your influence. Use the element of trust in your cover letter and your resume. We are here to talk about the importance of trust in the Career Maker System; this concerns any career growth and any career access. We have to engage and relate to many people in whichever career, in this case changing or growing your career. Trust basically consists of four elements: openness, reliability, congruence and acceptance. Openness plays a role; it is how you communicate your cover letter, and how you communicate your CV and your references. You have to be open about what went really well, and also be open about a number of situations where things did not go so well. That’s your opportunity to build trust with openness and share how you handled the not-so-good situations. Reliability happens when your documents, information and attendance is always on time. You also demonstrate reliability with stories from your past. You will notice that we have storytelling as a very important element. Those stories must reflect reliability. You need to able to be absolutely congruent, when you are; people find it very comfortable to talk to you. Congruency also means to reflect what you hear, and that the question is clear. You answer the question and check that the question was answered, it closes the loop and creates and fosters congruency. Let’s look at acceptance, acceptance of the other, acceptance of the self. Self-acceptance of both strengths and weaknesses clearly show in your cover letter and CV. Also, when you are talking to people over the phone or during an interview, it needs to show that you accept others as they are. It must also show that you are capable to work, fit, adapt and find ways and solutions forward because people are not perfect. I have never met any perfect people. When you work together or you have applied to change jobs it also shows that we are not as perfect as we would like. I will briefly mention a few notes on this document. 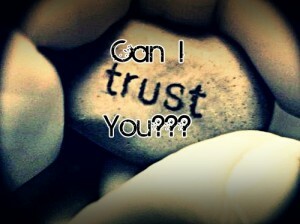 Trustworthy is different from trust and the two are linked. Many people are trustworthy, but they can’t build trust, because they don’t practice to be open, ask questions and share information about themselves. If you ask and share you are two-thirds on the way to success. Be reliable and communicate when things don’t always work as planned, but keep ownership. You can be very trustworthy, but to build trust you have to implement this practically in your daily life. In this case, it must show in your cover letter, I know it’s tough, but that’s why you tell a story. It must show in your CV and every change in your CV must be told in a few words, but it must build your story. If we read CV’s honestly, many of them do not demonstrate openness, reliability, congruence and acceptance. I hope I’ve briefly covered trustworthiness. On the website we give you a whole document to read, there’s more things you can do if you feel this area needs more attention and you want to grow more skills. The more skills and insight you grow about what trust is and how to build trust, the more you can contribute to the team around you and to your family. In the meantime we want to use it to improve your cover letter, your CV and your current job.